"Window": HVOB explores the boundaries of musicMusic meets video meets installation: HVOB's new EP "Window" opens a trialogue between artistic disciplines.The Viennese electronic duo HVOB has firmly established itself on the international electronic music scene with four EPs, a debut album and live appearances at festivals such as the Cape Town Electronic Music Festival and SXSW in Austin. The fifth EP, which was presented at this year's Parallel Vienna art fair and is about to be officially released, is the result of an artistic experiment by Anna Müller and Paul Wallner.Above and beyond the music, "Window" is a complex art project. The EP is like the electronic duo's follow-up album, scheduled for release in 2015 the result of a trialogue with Vienna artist Clemens Wolf and the VJs lichterloh. At the heart of the project are materials and the processes of their transformation, addressed on all three artistic levels and wrapped up in a single work. Each track is therefore a self-contained piece comprising installation, music and video.The EP is made up of four tracks: "Window", "Oxid" and two remixes of the title track. 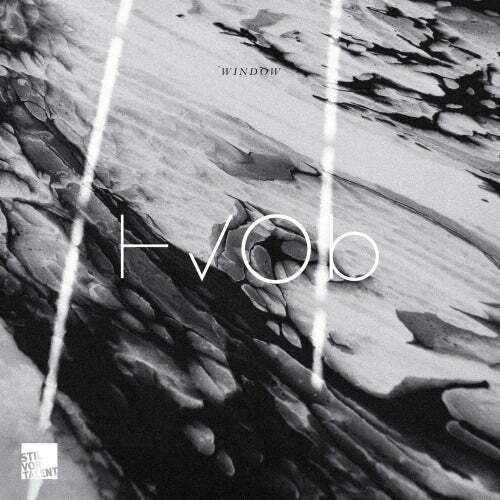 HVOB has been fortunate enough to collaborate with luminaries of the music industry: Gui Boratto interprets "Window" as a pulsating, emotive anthem to the joy of life, Acid Pauli places Anna Müller's vocals at the centre of an almost nine-minute journey through the HVOB world of sound.The EP "Window" appears on the label Stil vor Talent and is available on vinyl and digitally from November 28.